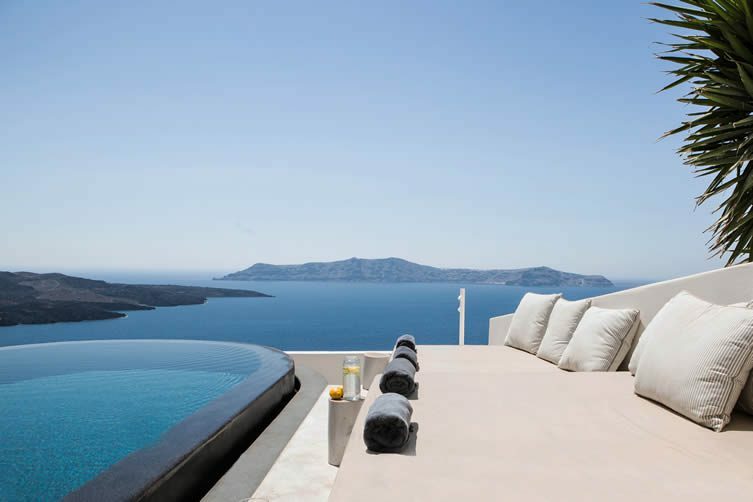 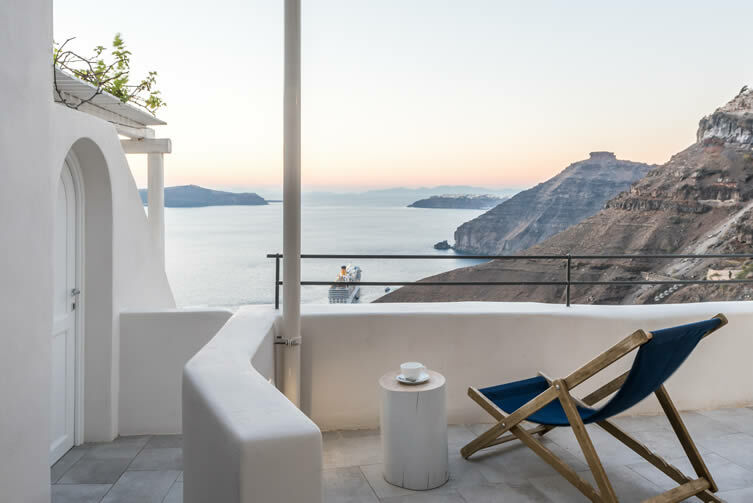 Holding court over the Aegean Sea from the steep cliffs of Caldera on the Greek island of Santorini, Porto Fira Suites enjoys a privileged location with breathtaking views of the sparkling water; the island’s volcanic craters; and the old port that looms below. 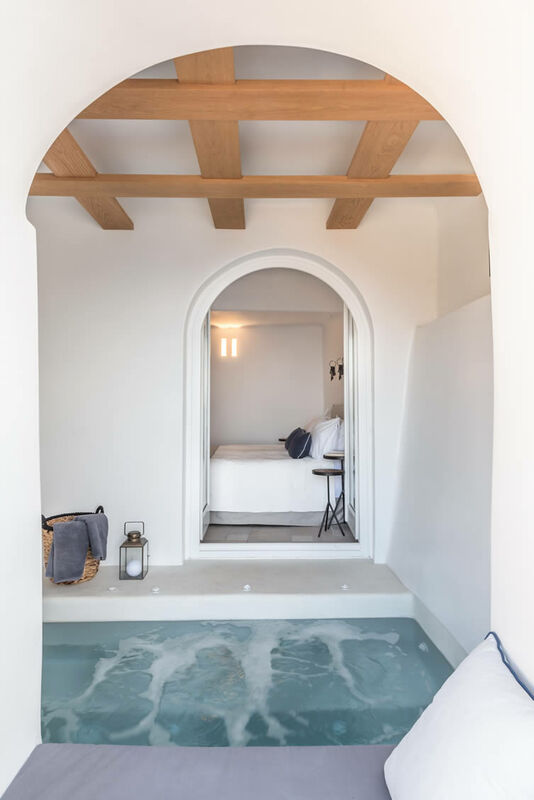 Composing 13 recently-refurbished suites, all with outdoor space and some with private outdoor tubs, the retreat is the personification of luxury and relaxation; with unbridled service and the ability to hide in its many design-conscious nooks and crannies. 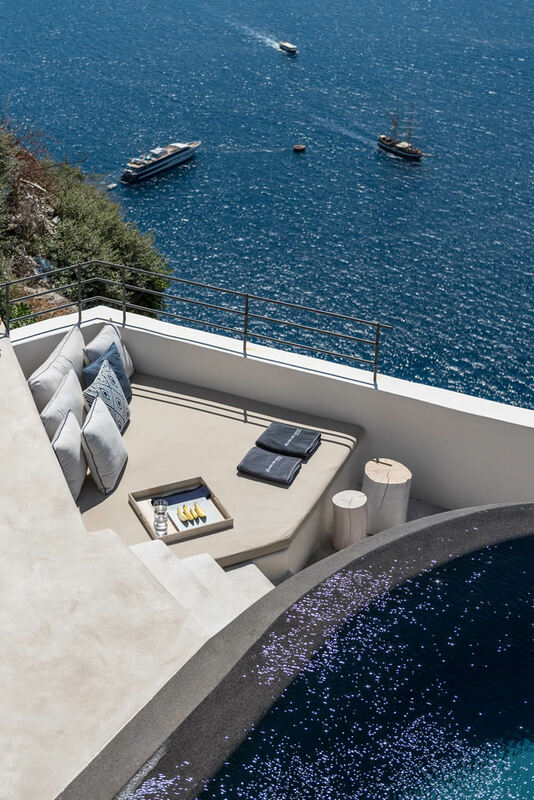 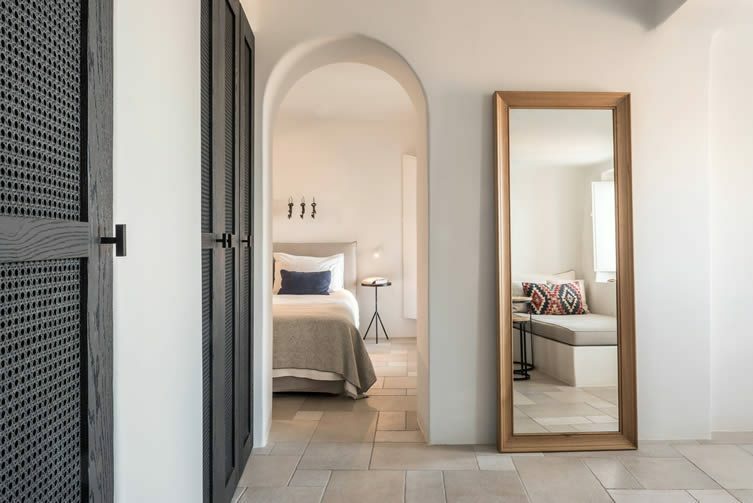 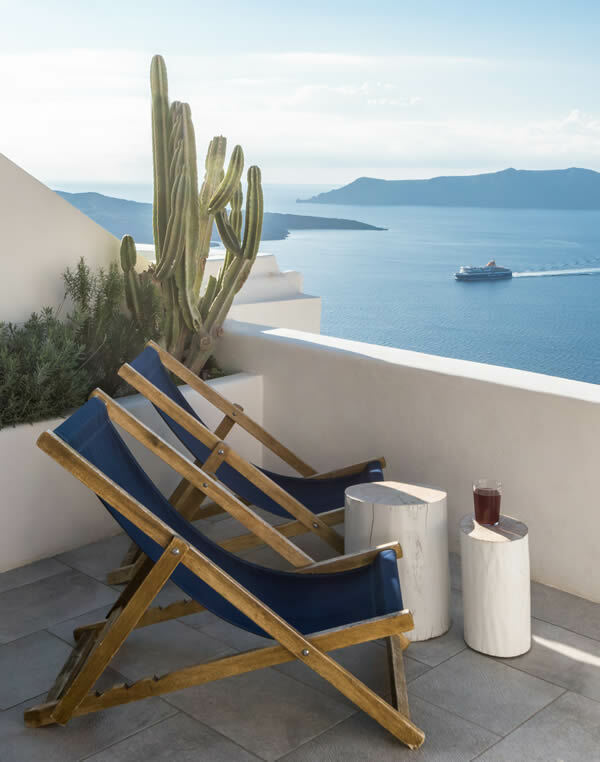 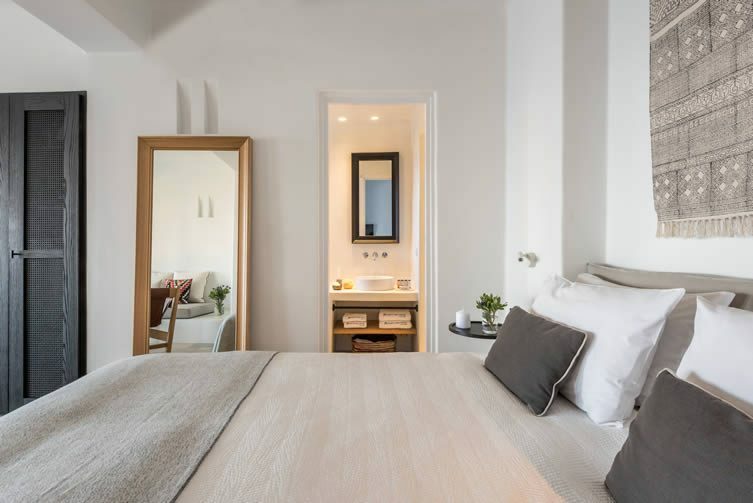 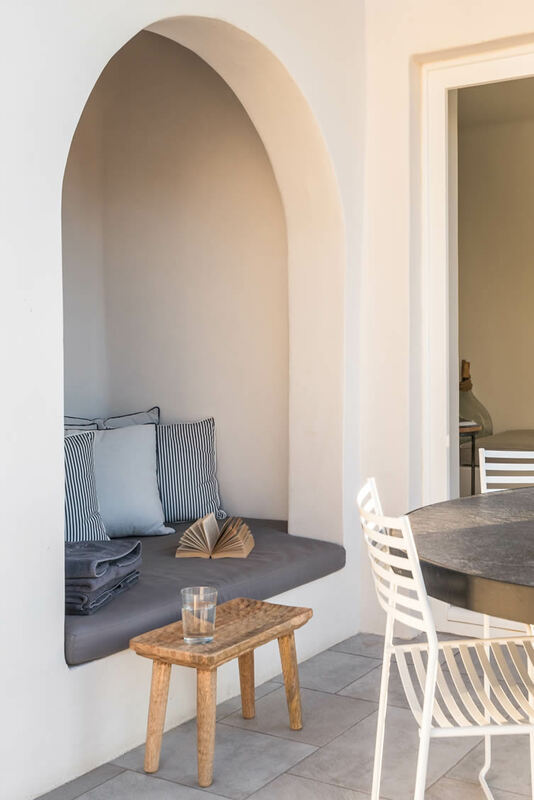 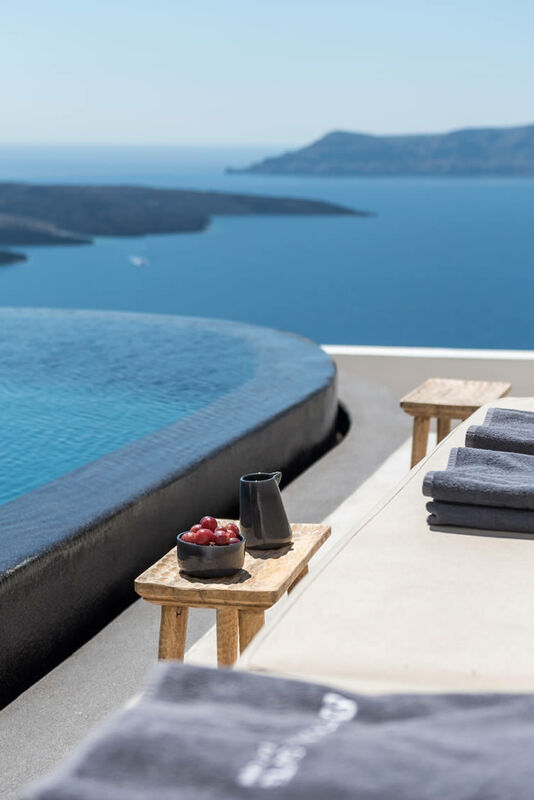 Blending seamlessly into its surrounding natural environment, Porto Fira Suites is a haven of seclusion but close enough to a local town; brimming with cosmopolitan shops, bars, restaurants and Greek hospitality. 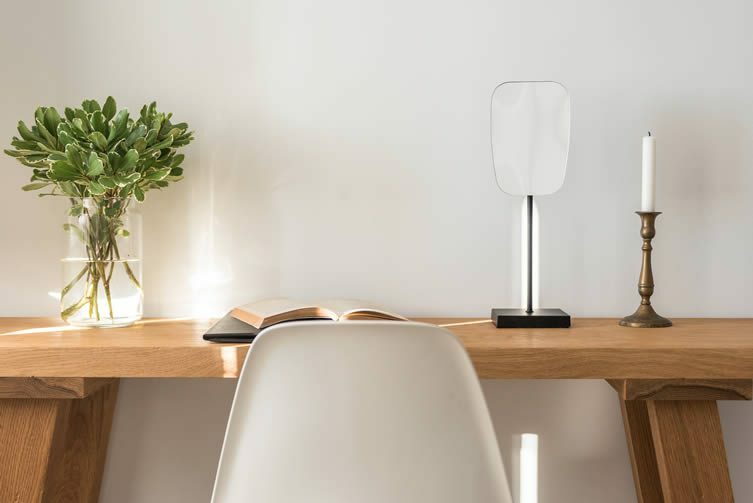 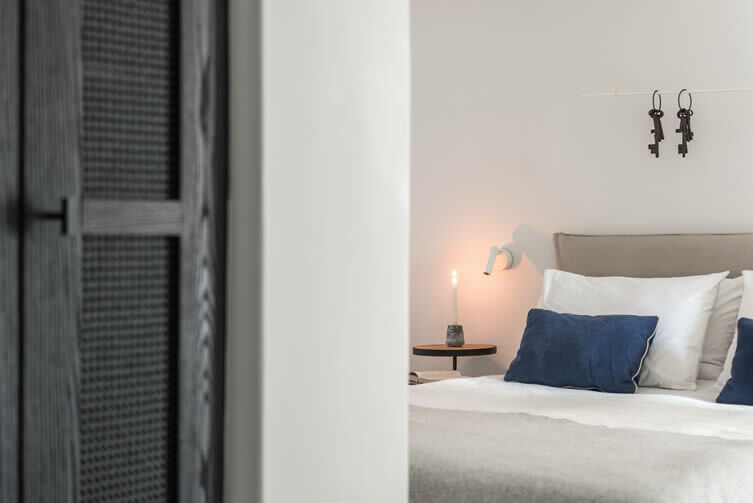 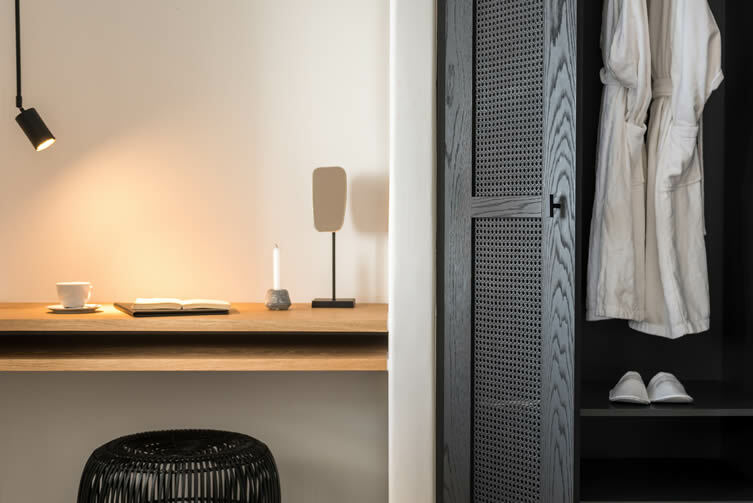 Athens-based designers and furniture manufacturer Interior Design Laboratorium oversaw the renovation, taking inspiration from the oldest part of the hotel: a space that historically served as a standalone house for a local church. 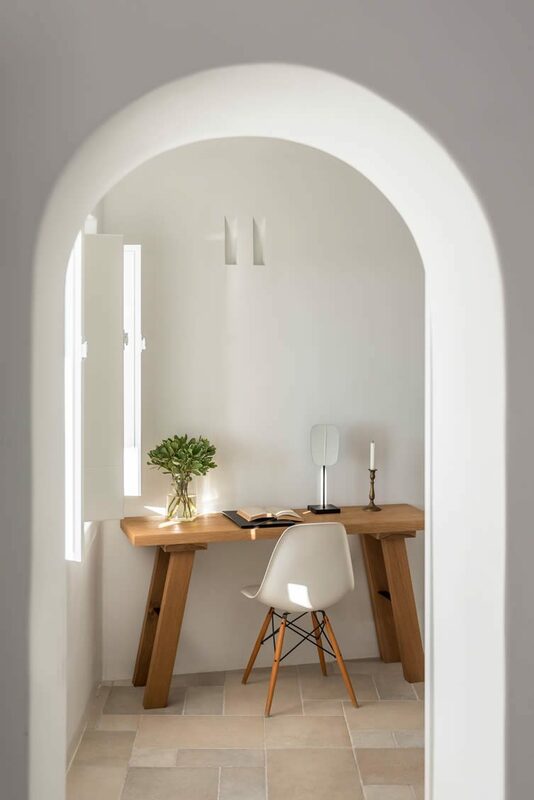 With that in mind, they created a design that embodied ‘the rules of the monastic architecture encountered on the islands of the Aegean’; using concrete materials to combine pure simplicity with heavy and strong elements. 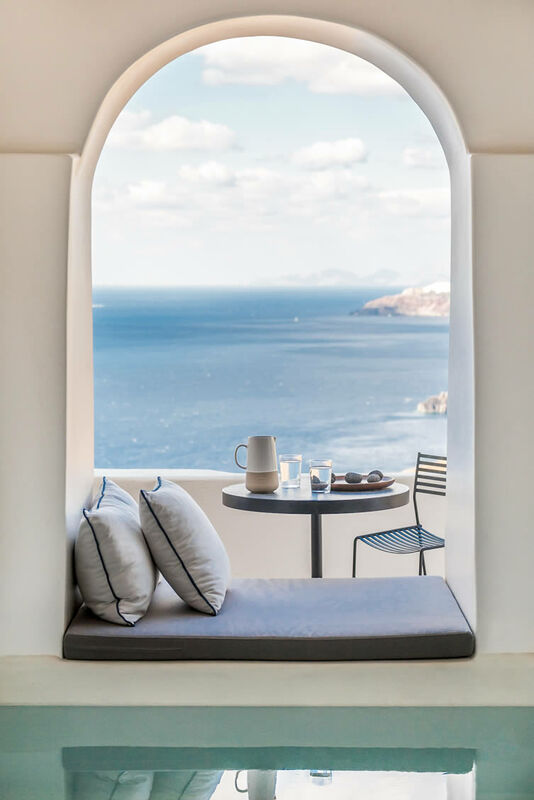 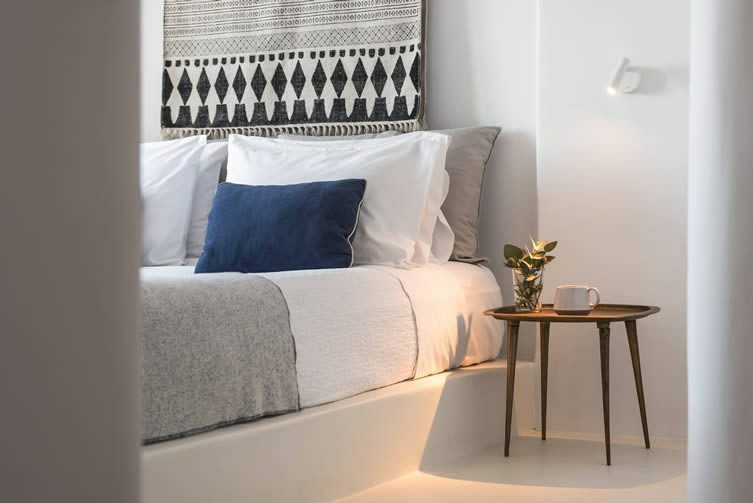 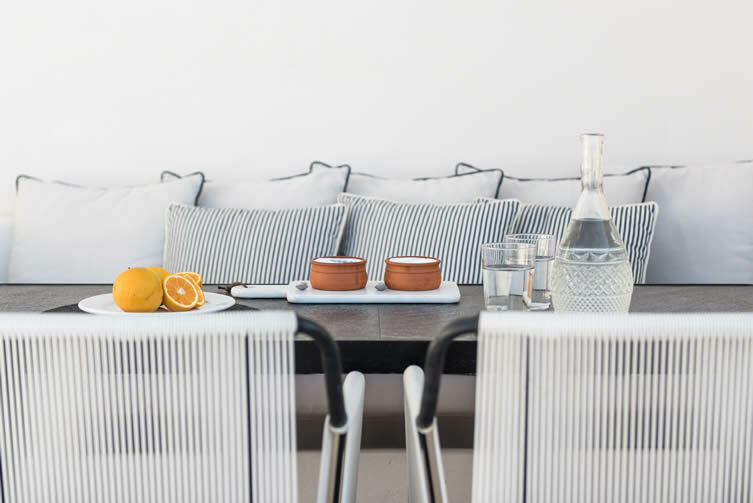 Through the use of bohemian fabrics, traditional hand-woven textiles, rugs and design pieces, the designers have successfully recreated the silent mystique and energy of Santorini; decadently luxurious but with a knowing nod to contemporary trends.